One of our most frequently asked questions by seasoned anglers planning Montana fishing trips is “when and where is the best dry fly fishing?”. As with most fishing related questions the first answer is “it depends”! The biggest attribute of fishing in the Big Sky state is the vast diversity of high quality fisheries that are available. This enormous selection of thousands of miles of water in all shapes and sizes make any type of “when is the best” or “where is the best” question nearly impossible to answer concisely. The good news is that there is always some great dry fly fishing to be had from March to early November somewhere in the state. I will do my best to provide a few ideas on where and when to target great dry fly fishing. Keep in mind that conditions change from year to year, especially the timing of events. On big water years everything is delayed and on drought years timing is accelerated. Another disclaimer is that we spend the majority of our time on the waters of the Southern part of the state and we simply have much more of a knowledge base on the waters that we fish every day. When to come for the best dry fly fishing? A safe response to this question is to simply describe some of the different high points of the season that can produce good surface eats. Each time period has its advantages and disadvantages and I will try to emphasize each of these. Although there is some good fishing on the surface before late April it tends to be short lived. One can have pretty good surface action on midges on some tail waters like the Bighorn, Missouri and Ruby in March and early April. Missoula anglers also get excited about the Skwala stonefly that produces some upward looking fish in early April. The most exciting early season action, however, really gets going in late mid April with the arrival of the beatis (aka blue winged olive) mayfly. This hatch really heats up the last week of April and is joined by the much larger size 12 March Brown mayfly. During the first week of May the Mother’s Day Caddis begins to explode off of rivers like the Madison, Yellowstone and a few others and extends until run off hits (the Mother’s Day Hatch isn’t as important on tailwaters). The best match the hatch dry fly fishing on the larger rivers is often during this window. The water levels are still low since most of the snow is still locked up in the high mountains which encourages fish to come to the surface since they do not need to fight the stronger current of higher flows. The only downside of spring dry fly fishing is that the surface action tends to occur during a fairly compact feeding window that lasts for about 3 to 4 hours each day in the afternoon when the hatches take place (the morning can produce good nymphing or streamer fishing). Another thing to consider is that the mayfly species (baetis and March brown) are highly variable and produce much thicker hatches with cloud cover than with bluebird days. The caddis hatch seems to come off in abundance on sunny days. For avid Montana anglers this is a must fish time of the year! Run off begins in mid May on most freestone rivers across the state. As such, visiting anglers tend to avoid late May. This is a big mistake since this time period can produce awesome fishing. Although some rivers are blown out, the spring creeks and tail waters below dams are still in great shape. Cool snaps also quickly bring back freestone rivers back into shape for one last shot at good fishing before full on run off arrives. Late May is one my favorite time to fish some of the spring creeks in the Yellowstone, Gallatin and Beaverhead valleys. The baetis hatch brings trout up like clockwork on a daily basis. Weed beds on the spring creeks aren’t that established and the big trout are still easily fooled (at least as far as spring creeks go). This combination makes it possible to both hook and land the biggest fish in the creeks on dries. There are very few out of state anglers to compete with at this time which enhances this time of the year as an “under the radar” window to get some great fishing in. This is THE time to toss dries on the spring creeks. The pale morning dun hatch usually begins around the 10th of June and picks up each day afterwards. The larger insects hatch first (about size 14) and then drop to 16s by early July. There is something about the PMD that makes wary spring creek trout behave like intoxicated brook trout on a remote mountain stream. During the magical window from late morning until about 3pm each day the fish become a little more tolerant of errant casts and less than ideal fly placement that would normally send the darting for cover. Experiencing the PMD hatch on some of Montana’s legendary spring creeks should be a must for any dry fly loving fly fisher! Early summer is also the time to chase salmonflies and golden stones on some of the big freestone rivers like the Madison, Yellowstone, and Big Hole. These monstrous insects can reach 3” in length. The salmonfly definitely does not produce high fish counts in regards to surface fishing. The appeal of the salmonfly hatch is that you are in the game to catch the largest trout in the river on a dry. Fishing during the “hatch” can be frustrating and slow when the fish are gorged (which they often are), but it only takes one massive strike from a 25-28” brown to turn a sane mortal into a mumbling fool. This time of year produces a hodge podge of aquatic hatches that includes yellow sally stones, pmd mayflies, nocturnal golden stones, and assorted caddis species. Mid July also produces great attractor dry fly fishing with big bugs like stimulators, pmx’s, and assorted foam patterns like chubby chernobyls. The trickiest part of fishing at this time of year is fly selection because sometimes the trout really key in on one insect species or the other. I find that caddis are a safe bet early in the morning and some type of pmd style pattern is effective later. Fishing two dries is a good bet with one large attractor on top trailed by a more imitative insect pattern like a caddis, pmd or yellow sally behind. Mid July is a very safe time to visit to target good dry fly fishing. The first wave of hopper fishing usually arrives in late July. This is the best time to catch great hopper fishing on the more famous larger fisheries such as the Madison, Yellowstone, Big Hole, Missouri and Bighorn. This is the busiest part of the season and everyone is salivating to throw hoppers and get the jump on some big “foam” eats. 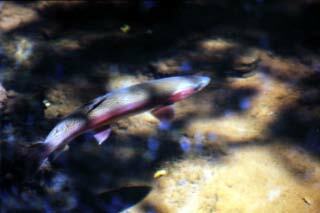 As a result, the trout on the legendary rivers start to wise up to hopper patterns by mid August. Hopper fishing can still be good on the most famous waters, but also expect some more “sniffs” and tender takes. If you can catch the first wave of hopper fishing it can really produce some unworldly fishing. The trick is that this one or two week glory window changes from year to year based on early summer temperatures and weather conditions. The good news is that if you arrive in late July and the hoppers still aren’t ready there will still be some great attractor dry fishing! This is when the best terrestrial fishing of the season occurs. The trick is that the best hopper fishing isn’t always on the big famous waters anymore because those trout have started getting wise to the larger patterns. On the big waters smaller patterns like ants tend to be more productive. The really great hopper fishing is on lesser known waters, private waters and stretches of larger rivers that are harder to access. We can’t name names on these locations because it has take us so long to locate and identify them but it is safe to say that the trout are nearly 100% keyed in on crushing hoppers by this time of the season! This is also a great time to target the trico and callibaetis hatches. Tricorythode mayflies occur in great abundance on Ennis Lake, Hebgen Lake, the East Gallatin, Bighorn and Missouri rivers. These diminutive mayflies make up in quantity what they lack in size and will often bring pods of nice sized rainbows to the surface. Callibaetis are a larger mayfly (about a 16) that are lake specific. They show up in late July and hatch through August on still waters. The best Callibaetis fishing is on Ennis and Hebgen lakes. Die hard river anglers are often surprised by how much they enjoy fishing still waters when they are targeting cruising fish that are “gulping” duns off of the surface. This is one of my favorite times of the year to throw dries on big waters like the Yellowstone River. Fishing pressure drops off fast in late August once kids go back to school. Many locals have had their fill of fishing and outdoor enthusiasts now turn their attention to hunting leaving legendary waters nearly empty. The lack of fishing pressure helps erase any memories of foam hoppers that the trout may have had. This time of year produces a mixed bag of both weather conditions and dry fly opportunities. More often than not we experience an Indian summer that extends the terrestrial season into early October. It isn’t uncommon to experience the best hopper fishing of the year in late September or even early October. When grey skies and early fall storms arrive mayfly species including baetis, mahoganies and drakes come off in abundance. Even when high pressure sets in trout are often looking for mayfly patterns and targettng sipping fish in foam lines and inside corners of riffles with a parachute adams can often be deadly. The heart of the autumn season produces terrific baetis hatches with almost zero fishing pressure on many waters. The best baetis hatches occur when cloudy skies settle in. The spring creek dry fly fishing also kicks in with the fall baetis and you can often get lucky and be the only one on one of the famous creeks like DePuy, Nelson and Armstrong. The down side in terms of dry fly fishing is that the hatch is variable from day to day and even on a good day it is mostly an after lunch event. The upside is that if you are willing to go down under with a streamer or nymphs this is also a great time to run into some giant pre-spawn browns. Since my two favorite modes of fly fishing are stripping streamers and casting dries to rising trout this is one of my favorite times of the year to get out on our local waters!